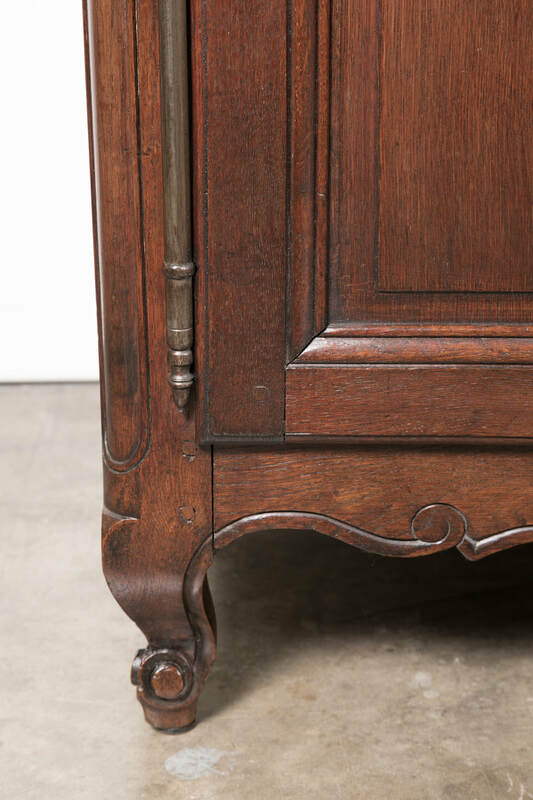 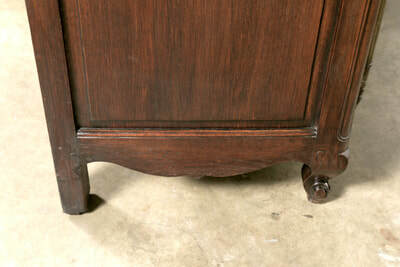 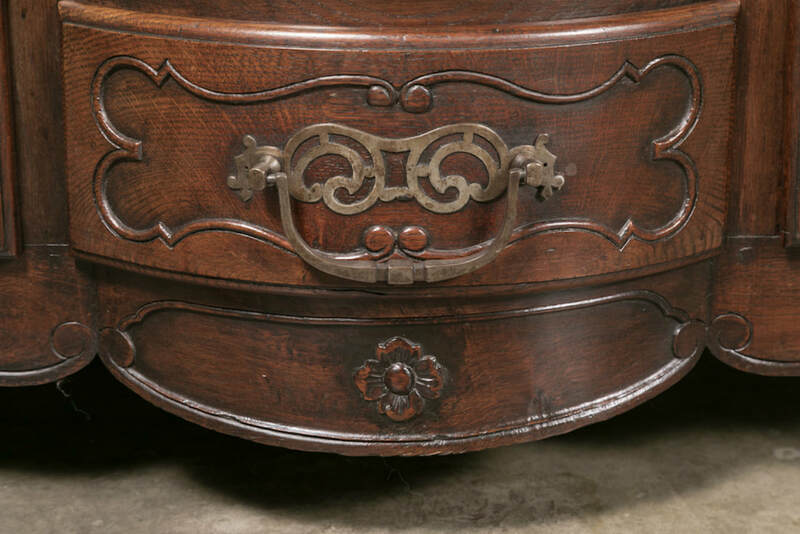 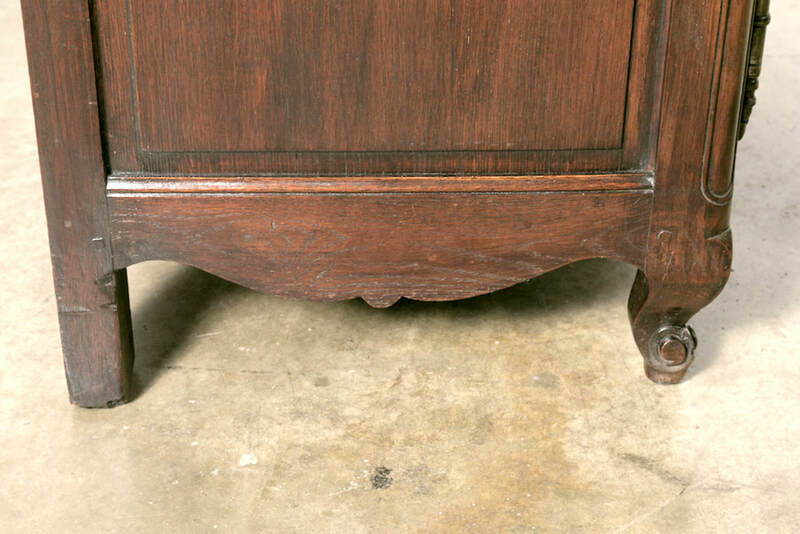 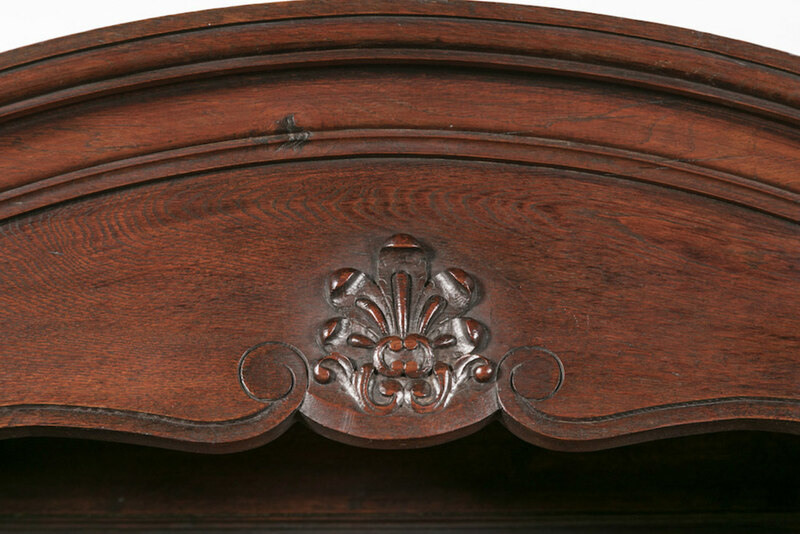 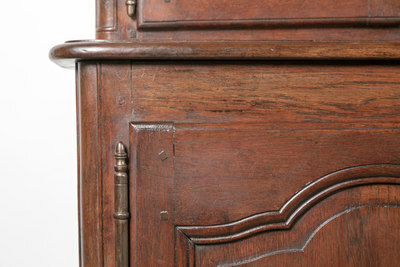 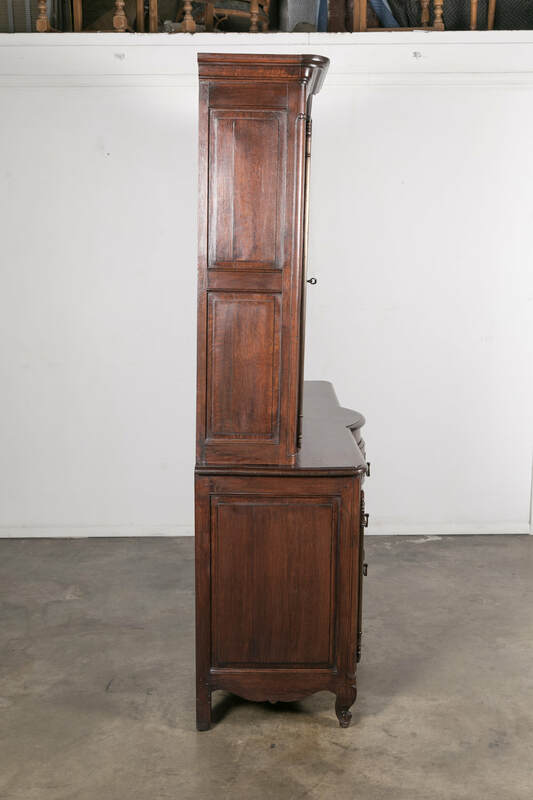 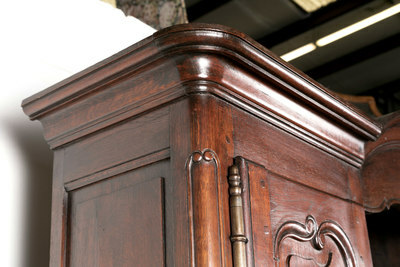 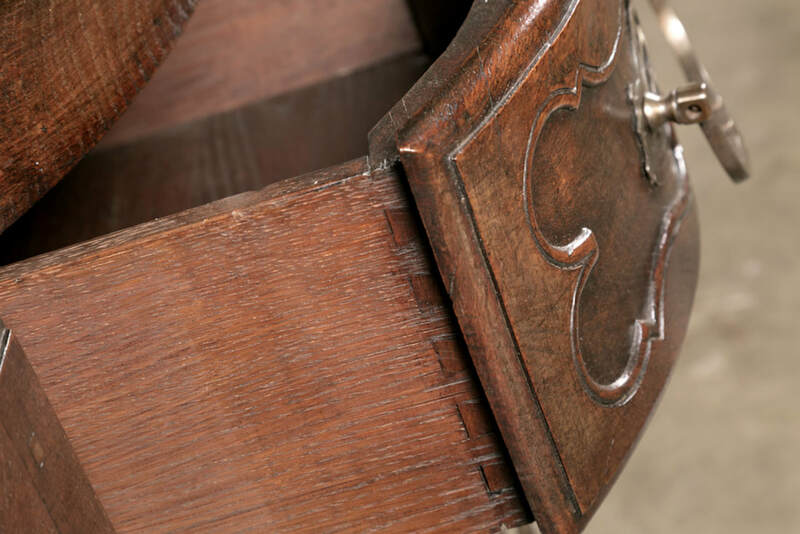 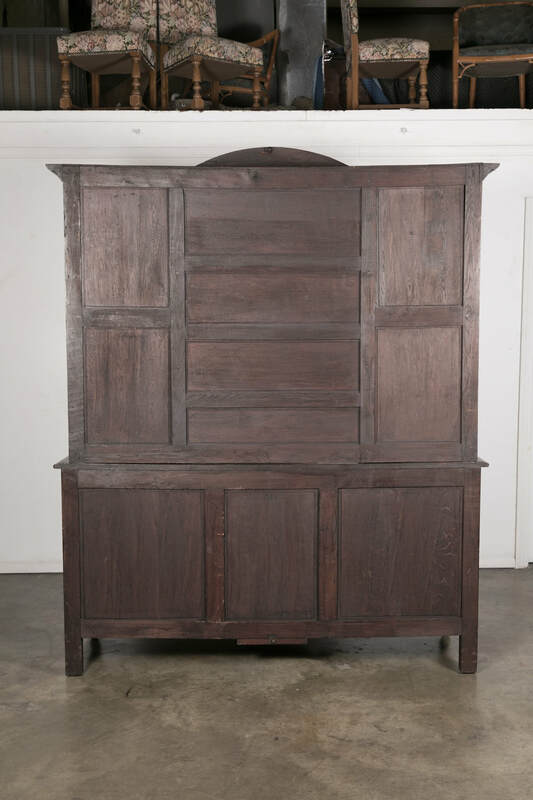 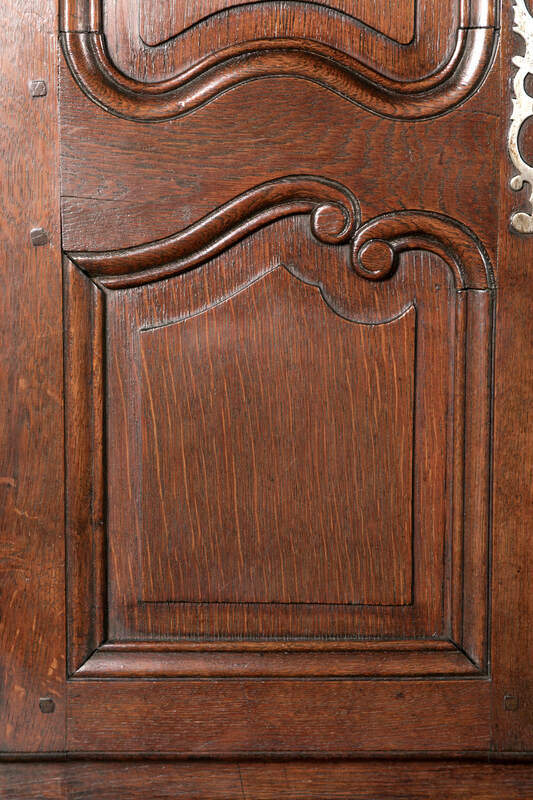 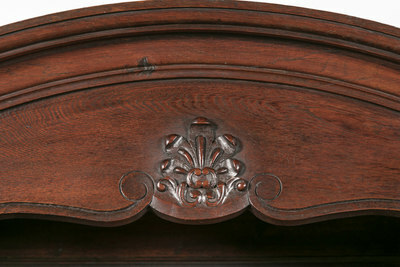 A beautiful French Country Louis XV style solid oak bow front vaisselier from Normandy. 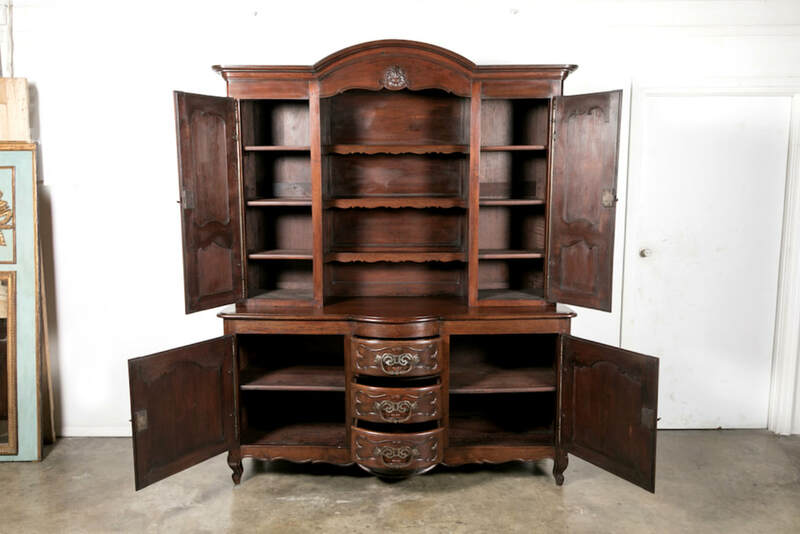 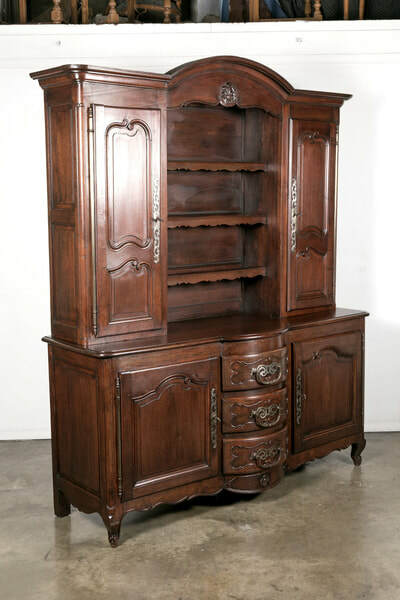 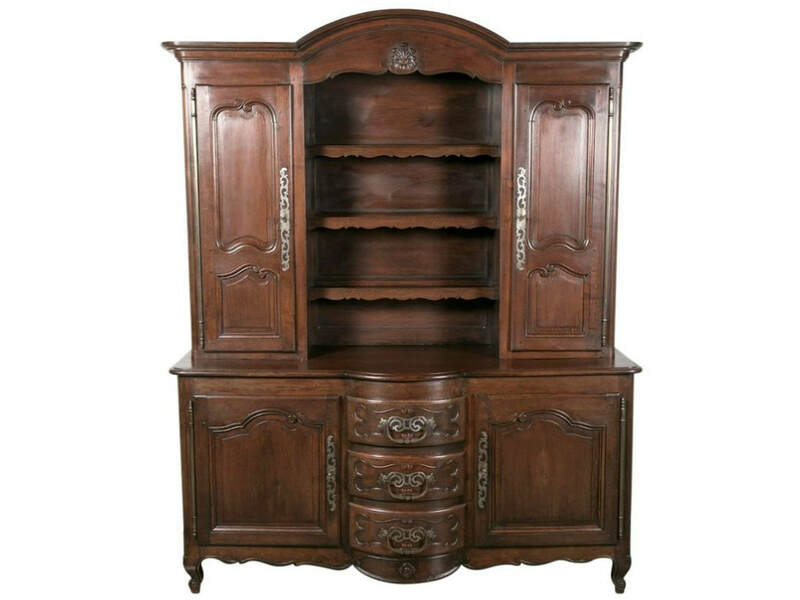 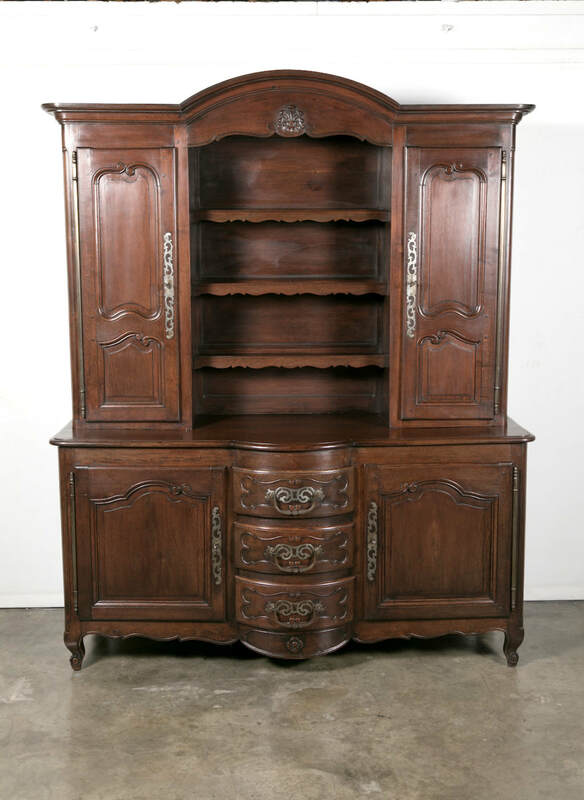 The upper section of this richly carved vasselier or buffet deux corps features a bonnet top above two cabinets with three interior shelves flanking three open plate racks. 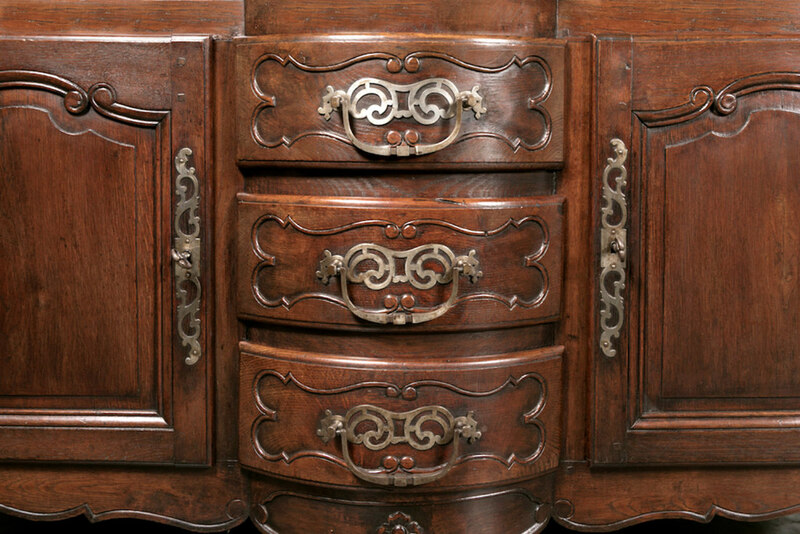 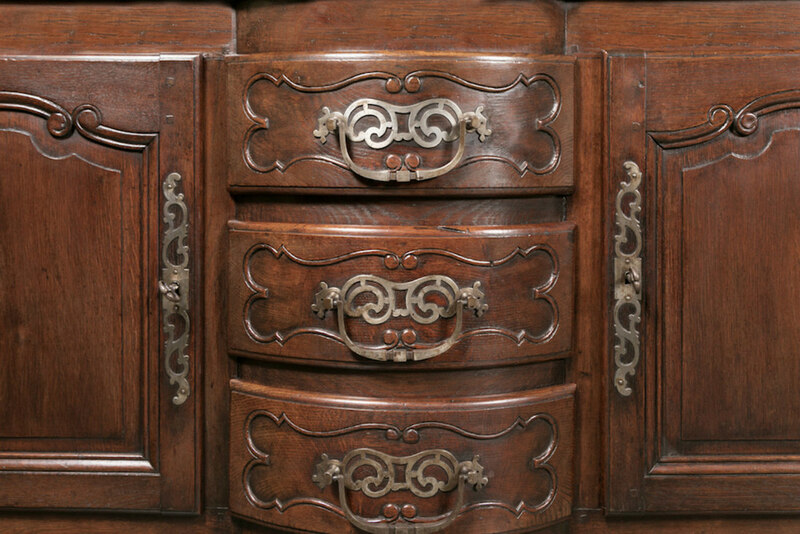 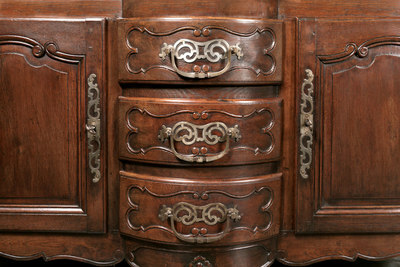 The lower buffet section with three bow front drawers flanked by carved panelled doors. Carved, shaped apron resting on short cabriole legs. 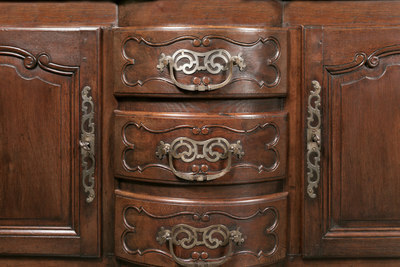 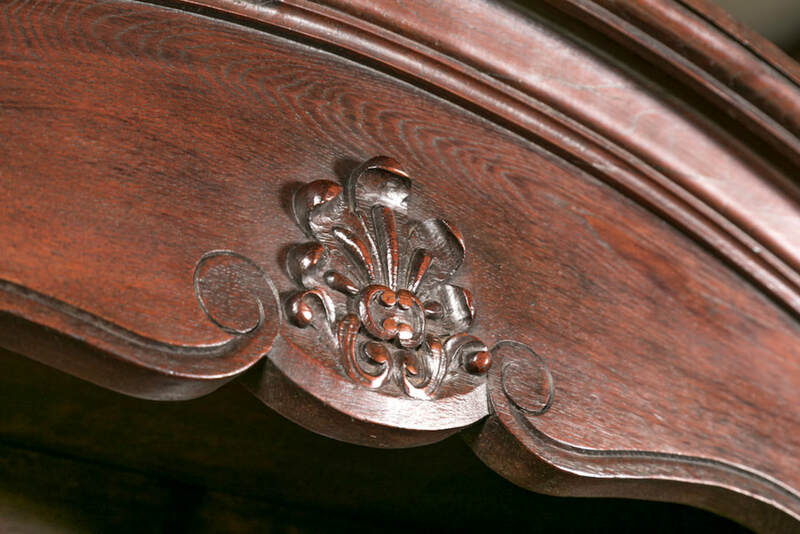 All of the ornamentation is completely hand carved and includes shells, c and s-scrolls, florets and scrolling foliage. Original iron hardware. 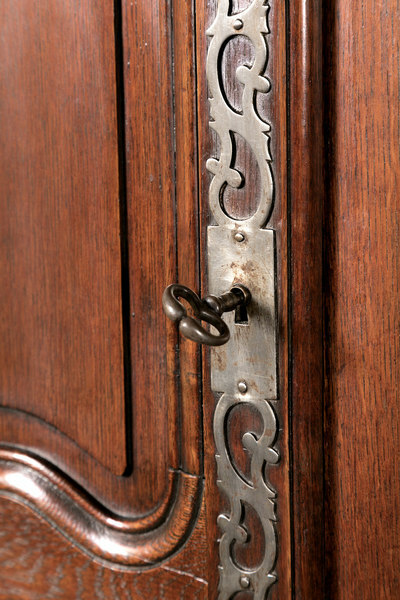 French vaisseliers were quintessential dining room pieces in French country homes.